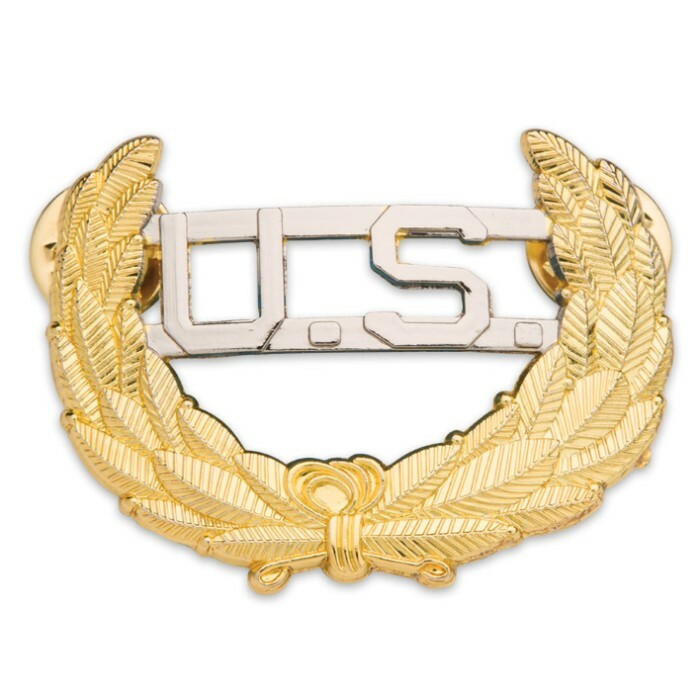 Gold Civil War US Cavalry Union Leaf Hat Pin | BUDK.com - Knives & Swords At The Lowest Prices! 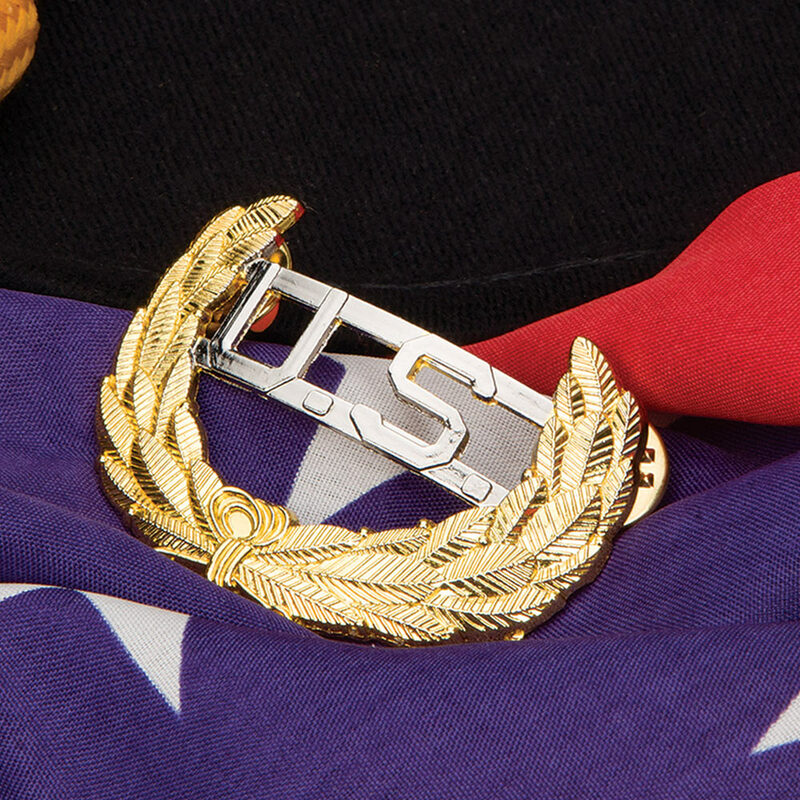 Don't just use this hat pin for your reenactment uniform! 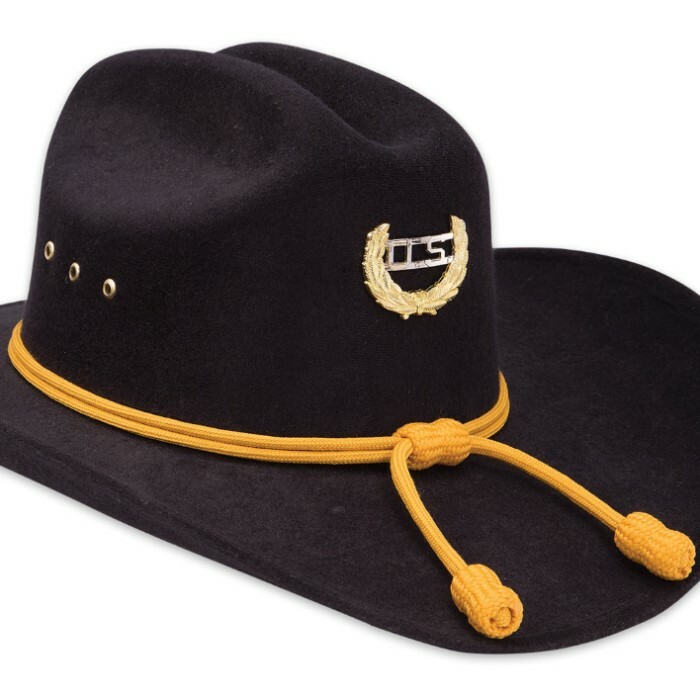 You can wear this attractive gold and silver US Cavalry Union Leaf Hat Pin anywhere. It is constructed of a sturdy metal alloy with a shiny gold and silver finish that will stand-out. This pin is 2" x 1".